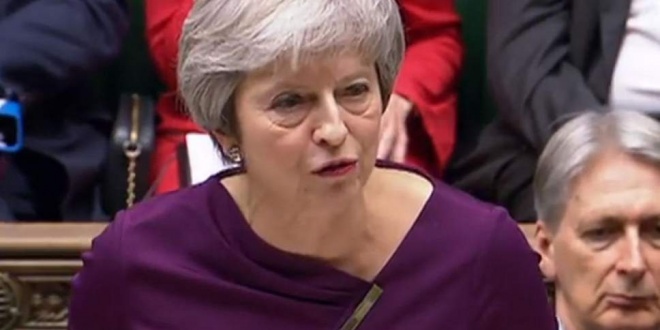 Bangla sanglap desk: Theresa May has delivered a statement to the Commons at the start of another testing week over the future of her Brexit deal. Earlier today she was grilled on This Morning over her deal, defending her plans as well as her position while insisting she is focused getting her agreement passed. The final countdown to the crucial Commons vote on December 11 has begun. The government’s 43-page legal advice on Brexit was published today following a vote in the Commons. As well as Mrs May’s address, Attorney General Geoffrey Cox will also make a statement and answer questions on the legal advice. Brexit secretary Stephen Barclay appeared not to know when the UK is leaving the EU as he was being grilled on the withdrawal process by MPs today. Mr Barclay, who took over the role last month after the resignation of Dominic Raab, said Britain was quitting the bloc on March 31, rather than the actual date of March 29. Senior MPs from six parties have written to Speaker John Bercow asking him to begin contempt proceedings against the government. The letter was signed by shadow Brexit secretary Sir Keir Starmer, SNP Europe spokesman Stephen Gethins, Liberal Democrat Brexit spokesman Tom Brake, DUP deputy leader Nigel Dodds, Plaid Cymru’s Hywel Williams and Green MP Caroline Lucas. They said: “It is apparent to us – and we believe the overwhelming majority of the House – that the information released today does not constitute the final and full advice provided by the Attorney General to the Cabinet. It does not comply with a motion of the House that you have ruled to be effective. “We would now ask that you consider giving the House of Commons the opportunity to debate and consider this matter of contempt at the earliest opportunity.”Mr Cox: “The government wishes to do all it can, which is why I am here today, answering candidly the questions of the House on any matter it wishes to ask. “But if I am satisfied and convinced that any disclosure would be contrary to the national interest, I cannot comply with the request. I am doing all I can.